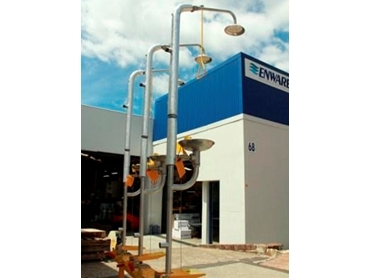 Emergency systems designed and manufactured by Enware Australia have been independently tested to comply with Australian and International Standards. Enware Australia has delivered more than 700 units of its Australian designed and manufactured emergency safety showers to the $US10.8 billion Ma’aden aluminium complex in Saudi Arabia. For the leading Australian supplier of stainless steel emergency safety showers, this was its largest export delivery to date. 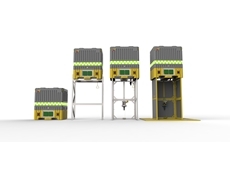 Enware delivered the emergency safety showers along with associated safety equipment to Korean design, construct and engineering company Hyundai for Ma'aden's joint venture with Alcoa. 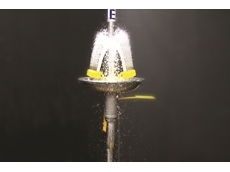 The tough, reliable and technically advanced Enware safety equipment will be used at diverse locations throughout the Ma’aden project, which will tap Saudi Arabia's bauxite resources to profitably produce aluminium for domestic and international markets as well as to facilitate the development of domestic downstream industries in the Kingdom. Enware Australia Managing Director Mr Adam Degnan said the supply of the custom-designed safety technology to Hyundai is a wonderful vote of confidence that could lead to further export opportunities for Enware. 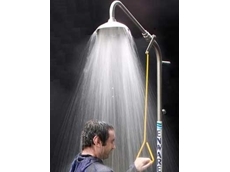 The company is already the largest manufacturer of stainless steel safety showers in Australia and exports a range of products to 15 countries. The Saudi contract has already started delivering gains for Enware with the company receiving an order for identical safety systems for a similar refinery in the Middle East. Enware is also seeing an increase in Request For Tenders for overseas projects. Hyundai has also indicated the possibility of involvement in two further projects under consideration in the Middle East. 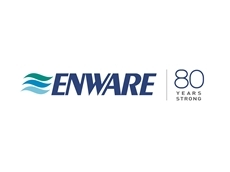 Enware has a strong network throughout Australia and New Zealand and has established offices in Singapore to grow exports to the region in addition to opening a base in Dubai to serve rapidly growing markets in India and the Middle East. Mr Degnan said the project was enormously valuable to Enware because of the number of challenges the company successfully met in all areas of its operation including manufacturing, administrative, engineering, logistics and R&D. He explained that the project was very fluid since there were a large number of design changes during manufacture, which necessitated enormous flexibility on Enware’s part to ensure the systems still met the required standards. The timeline of 15 months from the signing of the contract to final delivery was made even tougher as the number of systems required increased several times, which in turn increased the pressure on component suppliers and the company’s manufacturing facility to meet the deadline. However, dealing with these challenges also led to the introduction of a more streamlined manufacturing process, which is now in place permanently, resulting in better production all round. Within Enware itself this project had several advantageous spinoffs in a number of areas. Due to the number and variety of certifications, testing data and documentation required as part of the tendering and manufacturing process, the company now has an improved QA division with a wider knowledge of requirements at an international level.